The Capitol Riverfront, a southeast DC neighborhood known by many residents as "Navy Yard" is inching ever closer to fulfilling its promise as a premier waterfront destination for business, entertainment and urbanites. Calling 2014 a "transformational year," the neighborhood's Business Improvement District announced earlier this year that the community is nearly 50 percent built. Today, the neighborhood boasts 4,700 residents with estimates that the residential inventory will double over the next three years. To house those new owners, 1,916 residential units are currently under construction with another 2,164 developments breaking ground this year and next. 34,000 employees work on the Riverfront, counting 18,000 at the Navy Yard. In fact, the 500-acre neighborhood was once the home of the thriving Washington Navy Yard, the longest continually operating naval facility in the country. 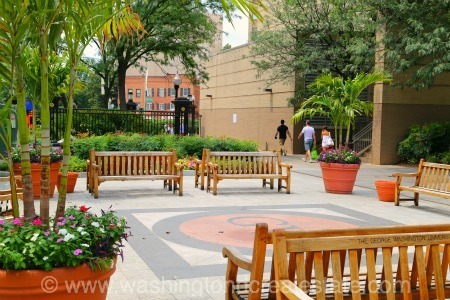 While activity slowed following the end of WWII, the area has been revitalized in recent years with billions in public and private investments that take advantage of the community's prime real estate setting along the Anacostia River. A 20-mile trail under construction along the east and west banks of the Anacostia River ideal for hikers, bikers, and pedestrians. Upon completion, the trail will stretch from Prince George's County, Maryland, to the National Mall in the District. 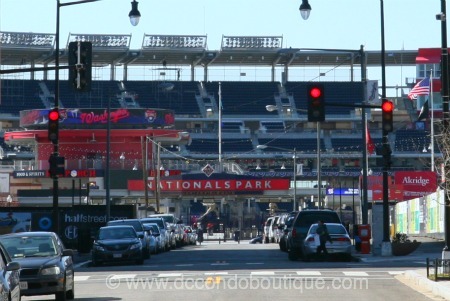 Home to the Washington Nationals baseball team, expectations for the 2015 season are higher than ever with the Nationals celebrating their tenth season in DC. The 42-acre neighborhood along the Anacostia Waterfront that includes 2800 condos and apartments as well as 1.8 million square feet of office space. One of Travel & Leisure's "50 Great American Adventures," this trapeze school offers indoor and outdoor class in flying trapeze for all levels, including first-timers and beginners.